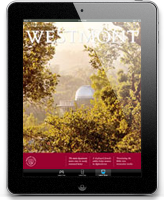 The supportive and loving response of the Westmont community to the death of Nick Davis ’13 recalls two earlier tragedies in Westmont’s history. In the midst of mourning, students, faculty and staff have proclaimed their faith in God and their belief in his everlasting love and goodness. Just two days before Christmas vacation in 1959, President Roger Voskuyl’s daughter, Nancy, died in a freak car accident on Sycamore Canyon Road not far from campus. While her death brought deep sorrow to her fellow students and to the college, it gave the Voskuyls an opportunity to share their faith with the local community. Although they grieved for Nancy, Roger and Trudy Voskuyl opened their arms to the young man who drove the car. 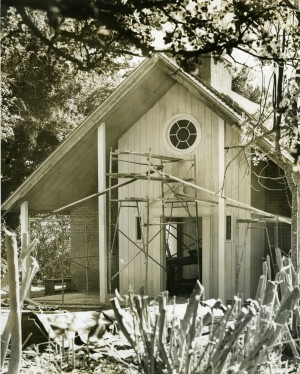 Their response to him and their expression of faith in God touched the Santa Barbara community. 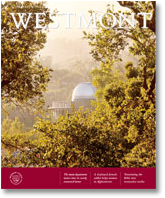 The tragedy helped make Westmont more visible in the local area. Today a second plaque hangs in the chapel honoring additional students. A car accident in 1989 took the lives of three students participating in Potter’s Clay and gravely injured two others. On the morning of March 27, Lisa Bebout, Patty Hallock, Megan Harter, Alan Voorman and Garth Weedman piled into Alan’s car to travel to a nearby village. The students belonged to a team doing construction work on a dilapidated house. As they were driving to the work site, an oncoming vehicle suddenly jumped the divider and landed on top of Alan’s car. The two Potter’s Clay cars behind Alan screeched to a halt. Students piled out to rescue their friends as ambulances rushed to the scene and took the injured students to local hospitals. Students who witnessed the accident headed back to camp to marshal prayer forces. The morning chapel service was still in progress as sophomore Amy Malmsten ran into camp and told Potter’s Clay co-leader Dave Harbeson about the accident. Harbeson announced the news and asked everyone to pray. During the course of the day, over 140 people went to the hospital to give blood, which was critical in saving one life. Lisa Bebout, Alan Voorman, and Garth Weedman died in the days following the accident. Patty Hallock Crosby ’92 and Megan Harter ’97 were badly hurt but eventually recovered and returned to finish college. Gordon Aeschliman ’77, one of the founders of Potter’s Clay, traveled to Ensenada to speak to the students, as did President David Winter, Dean Jon Hess and Chaplain Bart Tarman. While noting the ugliness of death, Aeschliman proclaimed God’s victory over death. Then he asked each student to find three rocks. With the first, they made a mound at the campsite in memory of Lisa, Alan and Garth. They built a similar memorial on campus with the second. The third rock reminds them of the presence and faithfulness of God in the midst of sorrow.